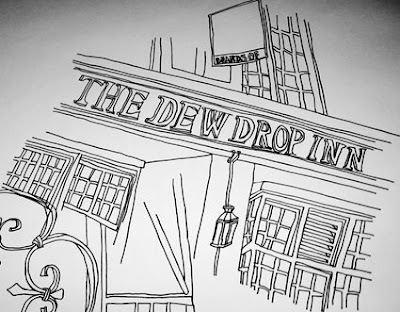 A little drawing of the Dewdrop. 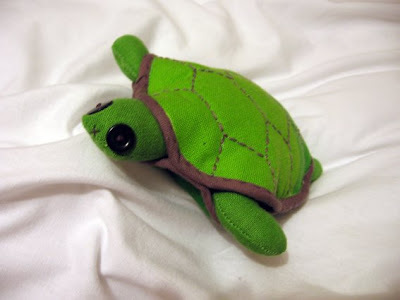 A little turtle arrived at my house just a couple of weeks ago and here he is surfing the waves of my bedsheets. He's handmade by Asia Werbel. She takes super cute photographs and makes super cute soft toys. Check out her photos here. Here's my blog Daruma doll. I've coloured in the left eye as a statement of my intent to this blog and my intention to finally start building my website. He can sit here as a little reminder to push myself towards my goals when I feel like putting off the hard work! 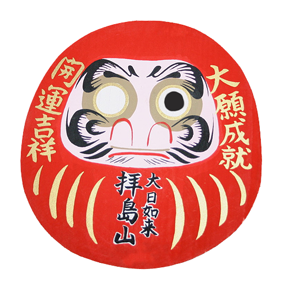 Daruma dolls are a Japanese tradition where the pupil of one eye is drawn in when you set yourself a goal. You then keep them in a prominent place in order to inspire you to strive towards your objective. When your resolution is fulfilled you can proudly colour in the other eye. Daruma was the founder of Zen Buddhism and legend has it that he meditated in a cave for nine years until his arms and legs shriveled and fell off. He also reportedly cut off his own eyelids in frustration when he accidently fell asleep. Fortunately he did achieve enlightenment at the end of it all, although minus his limbs and eyelids. This is why he has come to represent strength of spirit and determination to the Japanese people. It is also worth noting that from his discarded severed eyelids grew the first green tea plants. Yum.